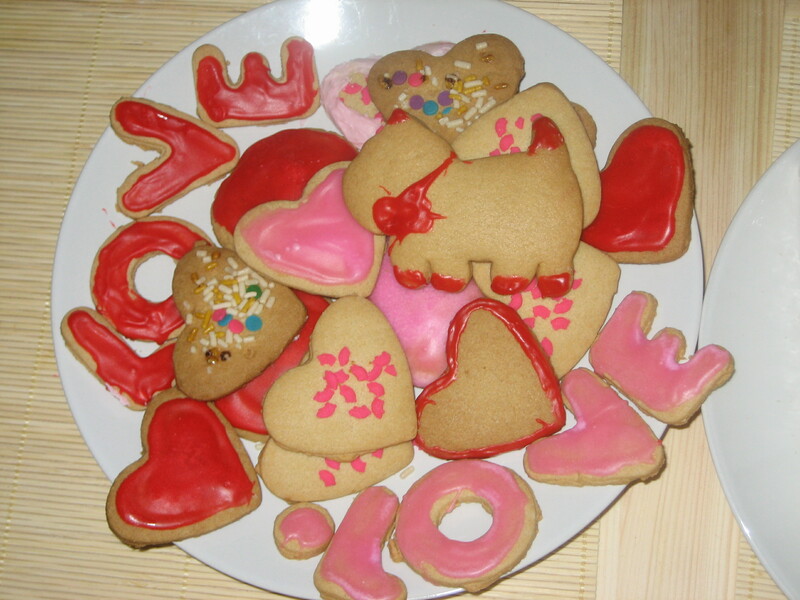 Shortbread cutout cookies with sprinkles and red and pink flooding for my beloved. Preheat oven to 325 degrees F. Cream softened butter thoroughly. Slowly add sugar. Sift flour and corn starch before adding. Mix well. Roll and cut cookies into desired shape. Bake 30 minutes or until very light brown. In a large bowl, cream together the confectioners’ sugar and shortening until smooth. Gradually mix in the milk and vanilla with an electric mixer until smooth and stiff, about 5 minutes. Color with food coloring if desired.